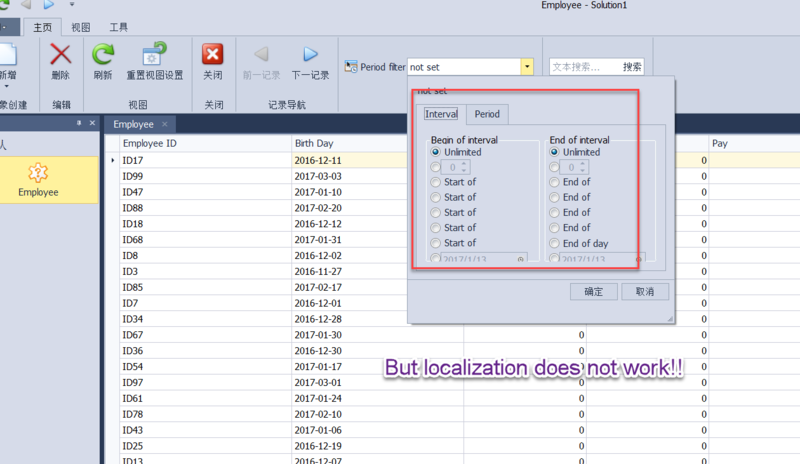 2.how to localize the text on the period filter editor? attached file solution1.rar is my test solution. Thanks for reporting the issue. We have replicated this behavior, but couldn't find a solution at the moment. A relevant issue [102.162887] registered in our issue tracking system. You may reference to this number later to find out its state. 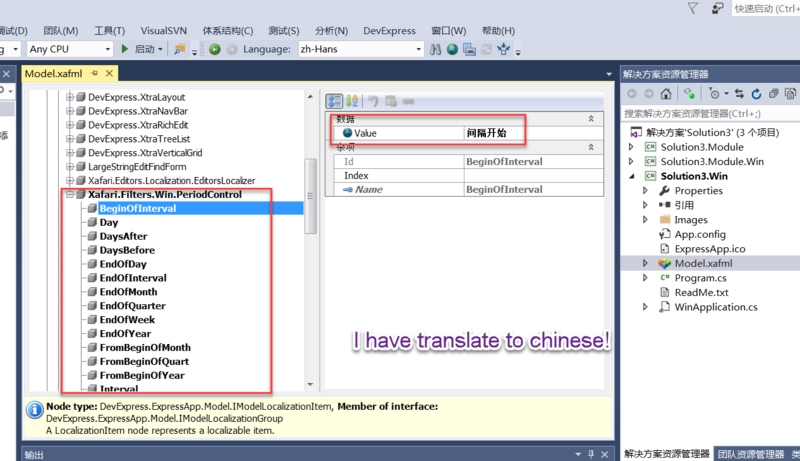 >> how to localize the text on the period filter editor? 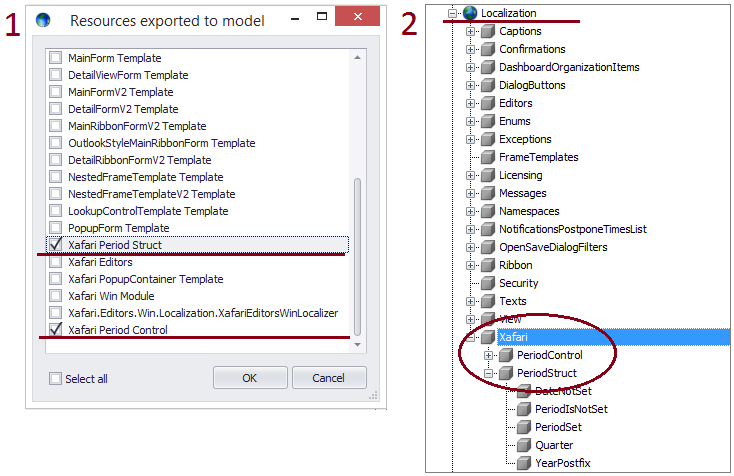 If you want localize the text on the period filter editor, please, use the ResourcesExportedToModel property. You have to select XafariPeriodControl from list of resources. 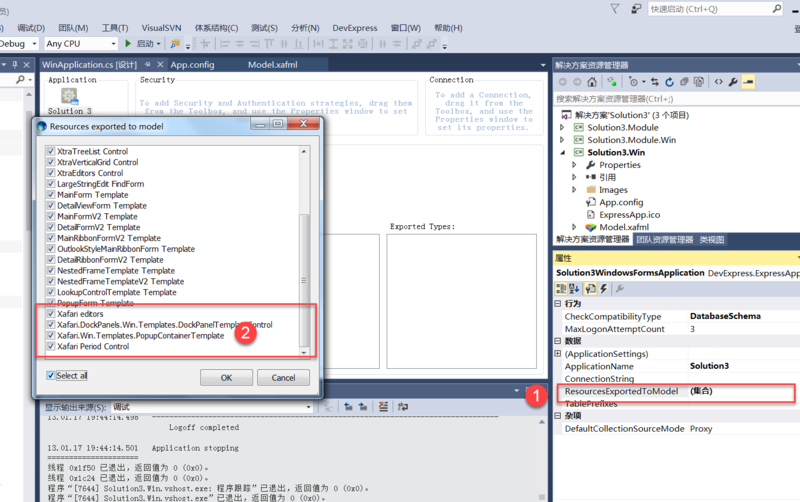 I have localized the editor, use the ResourcesExportedToModel, but it doesnot work. Sorry for my incorrect answer, we will try to solve this issue in the new release Xafari. The issues with extra filter solved for Xafari x11. Please inform us can you wait for the release Xafari x11 version or solution this question important for you in Xafari x10? I am waiting for Xafari x11. I have download new Xafari Framework x011. 1. When display is smaller, the filter shows Ok! see 01.png. 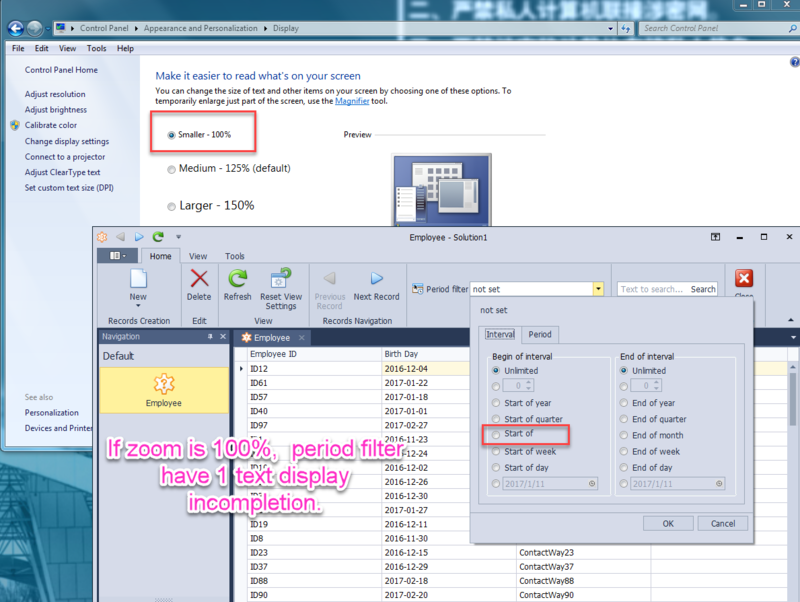 2.When display is Medium, the filter's interval tabgroup can't show complete. see 02.png. 3.When display is Medium,the filter's period tabgroup shows OK. see 03.png. I hope you can solve these problem as soon as possible. thank you! Thanks for the report! We are working on your issue and will get back to you as soon as we can. Please bear with us. 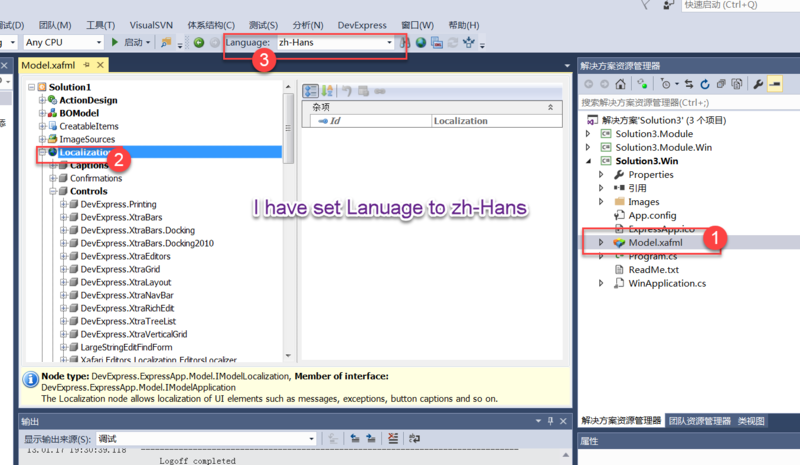 Unfortunately, we found additional issues of localization to Xafari and DevExpress. We are going to solve this issues to next build. Sorry for the delay with the solve. We have released a beta for Xafari 17.1.3011.1155. The build is available for download. ModelEditor -> Options -> WindowsSize -> Add WindowTemplateSize -> select the PopupContainerContext for a property TemplateContextName and set MinHeight and MinWidth.